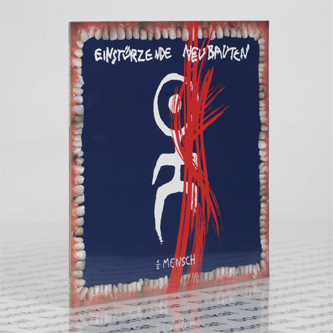 *Vinyl Reissue* "This is the third album by Einstürzende Neubauten, also known as Halber Mensch, originally released in 1985. The album opens with the startlingly oppressive, almost fully a cappella title track, with contrapuntal, atonal, en masse chanting. The album progresses to include quite a repertoire of electronically-generated sounds, finding the band developing their mishmash of industrial experimentation matched by terrifying clangs, stomps, and of course, the theatrical, poetic vocal delivery of Blixa Bargeld. An incredibly aggressive album, with insistent, pounding rhythms and razors on metal, and Bargeld's voice dominating your dreams for a month after listening. Members include: Blixa Bargeld, Mark Chung, F.M. Einheit, Alexander Hacke, and N.U. Unruh."